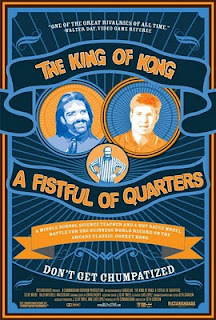 Ok, so this is a documentary about grown men who play Donkey Kong. Sound pretty lame, eh? But it's one of the best documentaries ever made. Still, there's probably not much I can say to convince you it is. You're just gonna have to trust me on this one, and watch it for yourself. I vouch for the above post: this is a really, really amazing documentary. You learn a lot about real human behavior in it -- and the lengths to which people will go when the stakes are high. Even in Donkey Kong.